On July 21, 2006 Inside Edition aired Joran and a mystery blonde hanging out near the same beach Joran claims he left Natalee. An American tourist visiting Aruba, Celeste, was taken aback by seeing the prime suspect in the case allowed to stay at the Marriott as if nothing had happened, shot some photos of the couple. The Inside Edition story can be found here. Joran Van der Sloot was also seen at Club Bahia with the same blonde mystery girl. Questions have been asked, who is she, who would want to be seen with Joran? 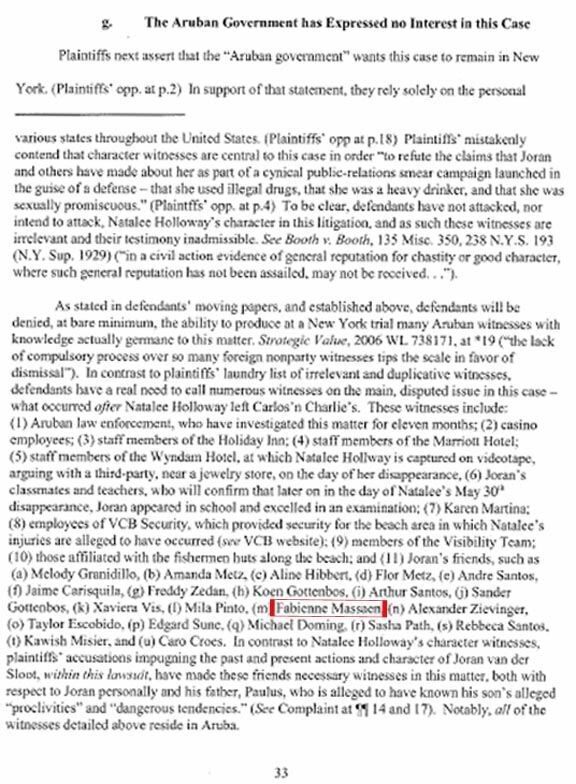 As it turns out the answer was in Joe Tacopino’s list of character witnesses for Joran. That’s correct … Joran Van der Sloot character witness? An oxymoron to say the least. 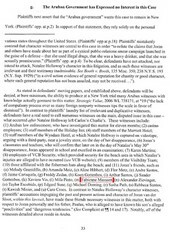 Joe Tacopina Court Filing pg 33. Her name is Fabienne Massaen and according to her Zorpia site is currently living in the Netherlands with her parents. The following is a photo she has on her Zorpia site with Joran on the beach at the Marriott in Aruba. So we know WHO she is but we don’t know why she chose to be with Joran at the Marriott. The answer might be found at her Zorpia site. We don’t know how well, or for how long she has known Joran. Looking at her Zorpia site it appears she has no shortage of male friends. Could she have been seeking attention or notoriety? You be the judge. Natalee Holloway: IT’S TIME TO BRING HER HOME!